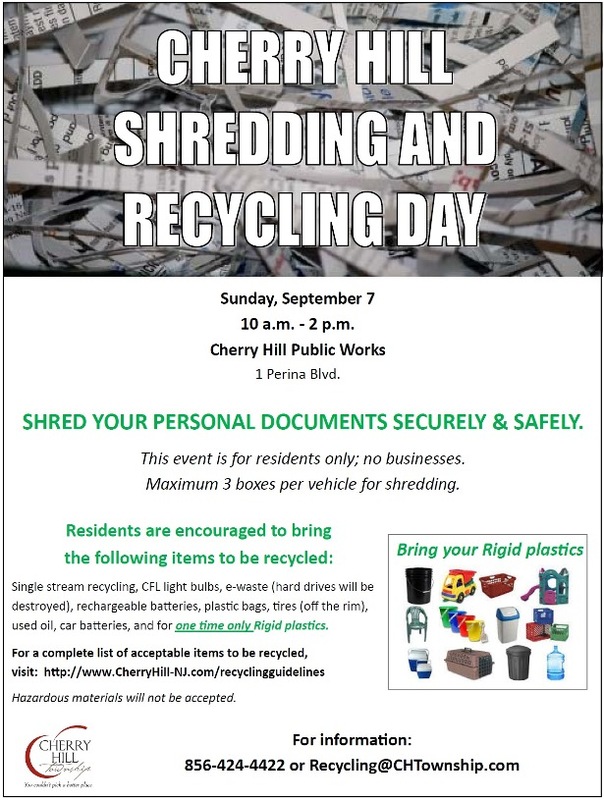 FREE Shredding and Recycling Day: This Sunday, 10 a.m. to 2 p.m.
SHRED YOUR PERSONAL DOCUMENTS SECURELY & SAFELY. This event is for residents only; no businesses. Maximum 3 boxes per vehicle for shredding. used oil, car batteries, and for one time only Rigid plastics. Hazardous materials will not be accepted.